Ken had helped us greatly with being informed on what vehicle we wanted to buy and helped us in getting a vehicle. 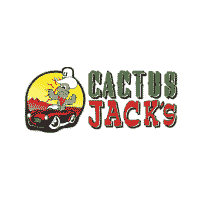 We had a great car buying experience at cactus Jack's on Camelback and the i17. Left with a low mileage Camaro her dream car! Adrian was awesome. Thanks! Service was great. Thanks to Izzy, he was awesome with helping get us into a car. well my wife and I desperately needed a new car do to an accident totalling are car leaving us with nothing from the insurance. talk to Bob oday he was honest told us the cost and payment's. yeah your going to pay way over Kelleys blue book, yeah it will have high miles, yep every little thing in the car might not work. you do get a car that drives good with 600 bucks down even if you have poor credit. they offer a temporary insurance for 30 bucks. so you can drive it off the lot. took us about and hour to be in a new to us car. We were repeat customers, having bought a car at Cactus Jack's five years earlier which worked out well for us. This time, we worked with Adrian on purchasing our car. He did a good job of answering our questions, and we were able to get a reduction in the down payment and a $500 price reduction for being a returning customer. However, when the time came to sign the final paperwork, Adrian had to work with another customer, so he sent Bob to complete the paperwork with us. Bob, however, was very pushy and unwilling to answer our questions, sometimes presenting papers to us saying they were about something in particular, when they really were about a couple of other things as well. He seemed annoyed when my wife wanted to check things over in the paperwork to make sure that we knew what we were signing and could agree to it. At first he didn't want to tell us about the hidden GPS system that is put in all their cars in case you are delinquent on your payments. He also implied that people who come in to have things checked out in the first fifteen days could get charged a diagnostic fee and a labor fee if it turned out the mechanics didn't find a problem, saying that some people bring their cars in to be checked out for what he considered to be trivial reasons. So the final paperwork process was by far the worst part of our car-buying experience. Shortly after we bought the car, an issue did come up, and we brought it in to service, and everything went fine. So, once again, we have what seems so far like a good car, and while the car-buying experience there was mostly a good one, I must say that the final paperwork process with Bob was not satisfactory. Ken was awesome! Highly recommend! Ken was great! He helped me from start to finish explained everything and got me a great deal. Was really patient with me and even allowed me to leave and come back. Ken was the salesperson that helped us. Very fast and easy!! Great experience!! Dealer was very honest & informatived I got my car else where but hes a great honest guy that will help you out. Haven't had any problems out of my baby got her close to 2yrs ago!!! Henry sold us a beautiful 2013 Dodge Avenger that looks and run brand new with great low miles. They worked with my bad credit and repo. Great place that does expect you to pay half the car right there. Great customer service! Very friendly I recommend going to this location! Got me in a car fast helped me change my life! Love this place. Very friendly and helped me out a lot. First time buying car off of a lot. And I would do it again. Thank u so much for working with me. I went in expecting to purchase a used vehicle. I didn't even knew which one, and one of the sales men took care me from the beginning till the moment I left the dealership. I was very upset to not find here the car which will fit not just my budget but also my requirements (Happily I found it one month later at repokar), but still loved spending time here. Great place thanks to rick and all the other employees I was able to get a car and fast great place I recommend strongly. John treated me with respect and patience while I searched for my perfect car. He walked me through the process effortlessly. Mark understood my needs and did exactly what he promised! I found my Nissan Cube, thank you Bell Rd Cactus Jack's so much for making this such a great experience!!!! Fun and very helpful. Asking for john since he takes every step of the way. Ps if rick is there as well it will be even more fun. I recommend anyone to come and see John or Rick if you need a vehicle and don’t have much to work with! John understood my financial situation and was able to work with me when a lot of other dealerships wouldn’t! Very friendly staff!!! Rick the wild man was great. A little fast but on point. The entire team was helpful. Great place to go if you trying to rebuild. Staff is great and Ray is great. Great place to buy a car!!! Fast and easy approval, great choice of cars AND all employees are very helpful. I'd recommend whomever looking to this place hands down. Got our new truck their, had a bit of bump with the truck not starting, it ended up being the key.It all worked out, should be happy. Great place to buy a car. Jose was so nice and helpful, and found me a very nice car. THANKS JOSE!!! Jose has excellent customer service. He was fast and found me a great car. Will definitely come here again. Thanks Jose. Amazing place. Just got my first ride. Jose was a great help. Thanks cactus jack for everything. kind helpful with great customer service would gladly and do refer many friends to see Patrick at cactus jacks!!! We love the car fast friendly service." Couldnt be happier that i walked in into this place. Warming welcome from pete. Explained everything from a-z. Loved the vehicle selection. Smooth transaction . very polite and friendy. Would highly reccomend the the services here. Awesome sales person . you rock pete!!! Had such great service here. Kelvin was our Sales Rep and he provided awesome service and assisted us in getting the best car possible. Would highly recommend this location for your next car. my name is Noah. i went to cactus jack looking for cars and they had so many options. Carlos is the one that helped me out. he was so nice and had so much information. i would recommend everyone if they are a first time buyer to come to cactus jack. Went to the car dealership of Cactus Jack's. Learned that they were having a starting at $499 down for a car. Me and the girlfriend arrived and were greeted by the Asst. Manager, Carlos. He spent the time to talk to us and help us understand how the purchase works. Tbh, this was my first ever purchase of a car. He understood it and stepped us in the right direction. We chose the car, took it out for a test drive, came back, and were sold on it. After helping us understand how the process works, our stuff came back positive and we were ready for the next step. We signed everything out, a lot of papers to sign, and we were officially given the keys. Carlos assured us that we understood how the insurance worked, car payment schedules, amounts and reason why, and more. I recommend that if you head to Cactus Jack's in avondale, talk to Carlos. He is the man you want to help you understand the process. Shout out to Kelvin Wilder for helping us out finding a great car and providing exceptional service!!! Just bought a 2008 charger here. No pressure from these guys. Carlos is by far the best salesman I’ve ever dealt with. He got me in a car I liked no issues. You the man! Would definitely recommend and buy another car here. We went to 3 other dealerships last week and got the run around from everyone. Went to Cactus Jacks and wish we went there first. Joe was a very honest very fast and got us in a car within an hour with no hassle. I will be recommending others to go see him. Thank you Joe for your great service and prompt attention to our vehicle. Don’t pass this place up we did we will definitely be back for a future vehicle.The mechanic is great and fast as well! 5 ⭐️⭐️⭐️⭐️⭐️ from the Duran Family! They are very helpful and will get you in a car fast! I had a great experience with Cactus Jacks! Great people, great vehicles. They were such a pleasure to do business with. I would definitely recommend to stodgy looking to buy a car.